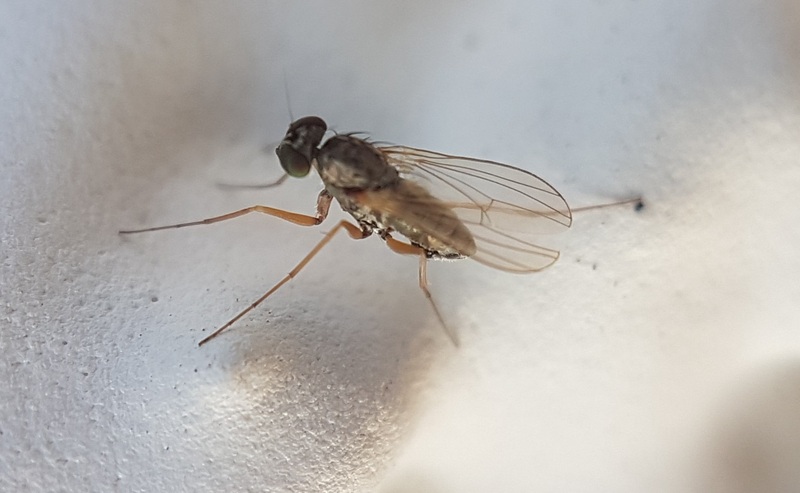 I found this little fly on the outside wall (southwestern France). It is most likely a Dolichopodidae and I wonder about the genus. I am thinking of Medetera but the legs look very pale.